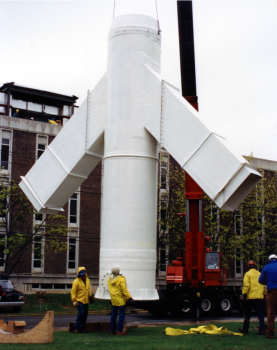 Fiberglass stacks can be manufactured and installed in much the same way as steel stacks. 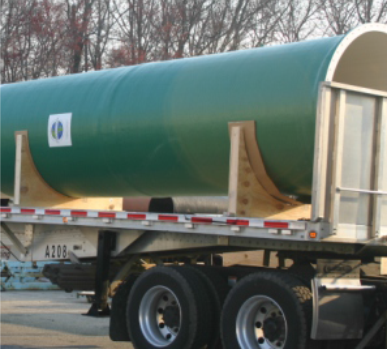 The advantages of fiberglass stacks are similar to the advantages of other fiberglass products: corrosion resistance, lightweight - leading to lower installation costs, and ease of maintenance. Stacks can be designed either freestanding or laterally supported. There are many possibilities available for base mounting design. Similarly, there are many ways to laterally support stacks if desired. The most common options for lateral support would include guying with wires, or bolting to adjacent structural steel. 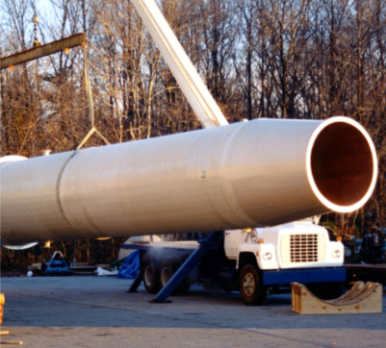 With a description of the design criteria and constraints imposed by the physical location of the stack, Composites USA can offer a P.E. stamped design solution. In addition to designing the stack structural requirements, Composites USA can also offer design guidance and installation options for ladders, platforms, sampling inspection and access ports, grounding systems, and if required, FAA markings and warning lights. © Composite & Metal Products USA, Inc.